Moreover, the scientists visualized them using a DNA-based super-resolution microscopy method and obtained the first sharp 3D optical images of intact synthetic DNA nanostructures in solution. "I see exciting possibilities for this technology," said Peng Yin, Ph.D., a Core Faculty member at the Wyss Institute and Assistant Professor of Systems Biology at Harvard Medical School, and senior author of the paper. Yin's team has built different types of DNA structures, including a modular set of parts called single-stranded DNA tiles or DNA bricks. Like LEGO® bricks, these parts can be added or removed independently. Unlike LEGO® bricks, they spontaneously self-assemble. But for some applications, scientists might need to build much larger DNA structures than anyone has built so far. So, to add to their toolkit, Yin's team sought much larger building blocks to match. Yin and his colleagues first used DNA origami to create extra-large building blocks the shape of a photographer's tripod. The plan was to engineer those tripod legs to attach end-to-end to form polyhedra objects with many flat faces that are themselves triangles, rectangles, or other polygons. But when Yin and the paper's three lead authors, Ryosuke Iinuma, a former Wyss Institute Visiting Fellow, Yonggang Ke, Ph.D., a former Wyss Postdoctoral Fellow who is now an Assistant Professor of Biomedical Engineering at Georgia Institute of Technology and Emory University, and Ralf Jungman, Ph.D, a Wyss Postdoctoral Fellow, built bigger tripods and tried to assemble them into polyhedra, the large tripods' legs would splay and wobble, which kept them from making polyhedra at all. The team programmed DNA to fold into sturdy tripods 60 times larger than previous DNA tripod-like building blocks and 400 times larger than DNA bricks. Those tripods then self-assembled into a specific type of three-dimensional polyhedron all in a single test tube. After building the cages, the scientists visualized them using a DNA-based microscopy method Jungmann had helped developed called DNA-PAINT. In DNA-PAINT, short strands of modified DNA cause points on a structure to blink, and data from the blinking images reveal structures too small to be seen with a conventional light microscope. DNA-PAINT produced ultrasharp snapshots of the researchers' DNA cages the first 3D snapshots ever of single DNA structures in their native, watery environment. "Bioengineers interested in advancing the field of nanotechnology need to devise manufacturing methods that build sturdy components in a highly robust manner, and develop self-assembly methods that enable formation of nanoscale devices with defined structures and functions," said Wyss Institute Founding Director Don Ingber, M.D., Ph.D. "Peng's DNA cages and his methods for visualizing the process in solution represent major advances along this path." 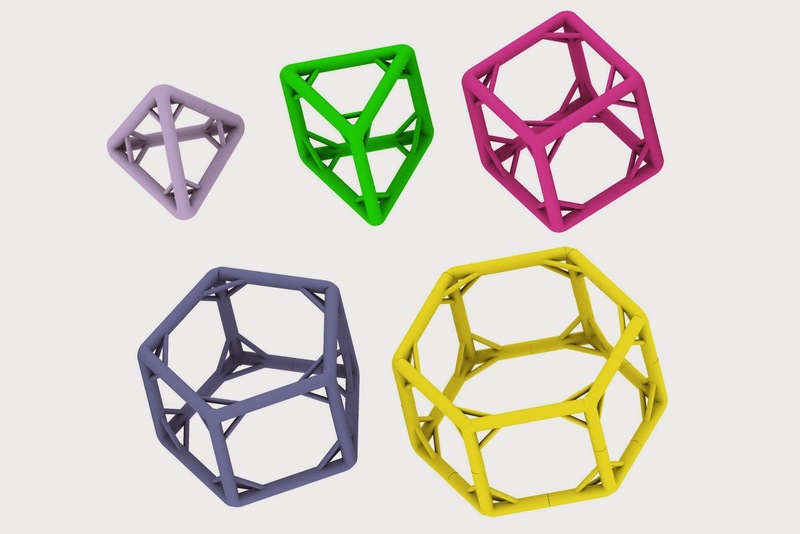 "Polyhedra Self-Assembled from DNA Tripods and Characterized with 3D DNA-PAINT" Science, 2014.